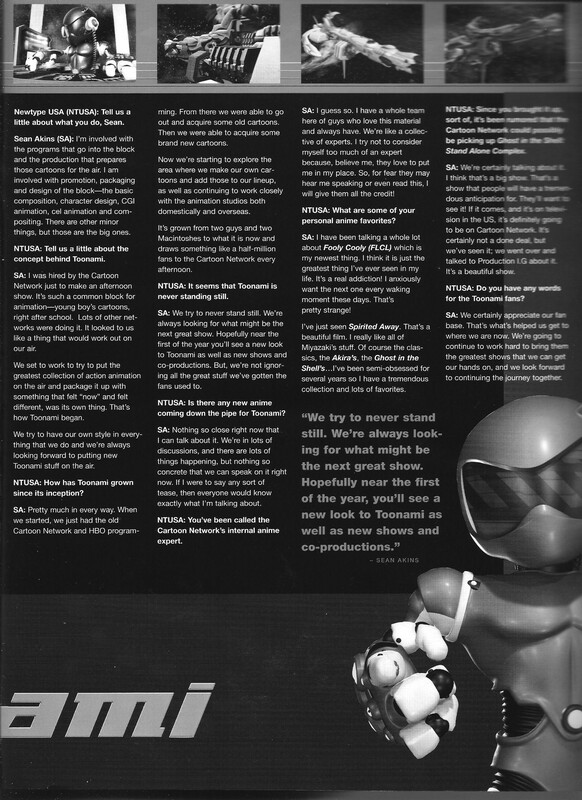 An interview with Toonami creative director Sean Akins, talking about the block’s history and his own experiences with anime. 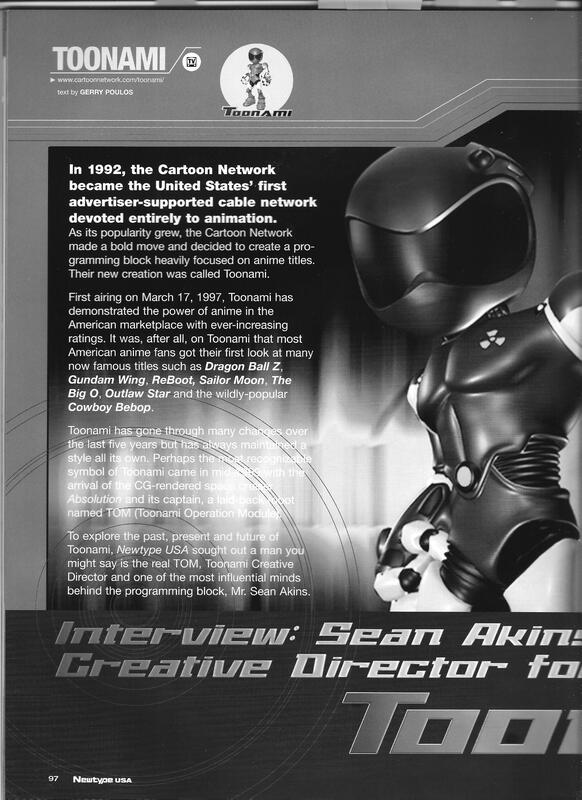 This entry was posted in Old Magazine Articles and tagged Anime, Borderline Plagarism for the Freedom of Information, Sean Akins, Toonami by torisunanohokori. Bookmark the permalink.